Gmail is fast. Gmail is fun. One can convert Gmail into a powerful tool. Then power corrupts; for a Gmail account, a better term means more clutter as well. Therefore, we embark on a task that will save you from being overwhelmed by infinite add-ons and select the best and top Gmail Extensions that will not make a mess on your screen once you open your Gmail account. Want to change the subject line sent to you; Rename Email allows you to change it according to your mindset. It helps you get your message across in an appropriate way, conveying your point of view, which the other party might have failed to conceive. Following is a shot at presenting the Gmail extensions that are time savers, ease your efforts and make your Gmail life a less complicated one. Read on! Stuck in traffic! Gmail Offline lets you work all the way to your workplace. Simply read, write, work, search without wasting a second. A great tool for the can-do types, it uploads your work as soon as you reconnect to your internet. Top Gmail extensions work as your personal assistant. One of it is Bananatag. It schedules, tracks, and template attach your emails. Enhancing your commerce productivity, it helps you keep track of your favorite customers. Functions in the cloud, there is no need to download an email with this extension. Gmail Snooze helps you snooze an email according to your specified time without the need of opening your inbox. 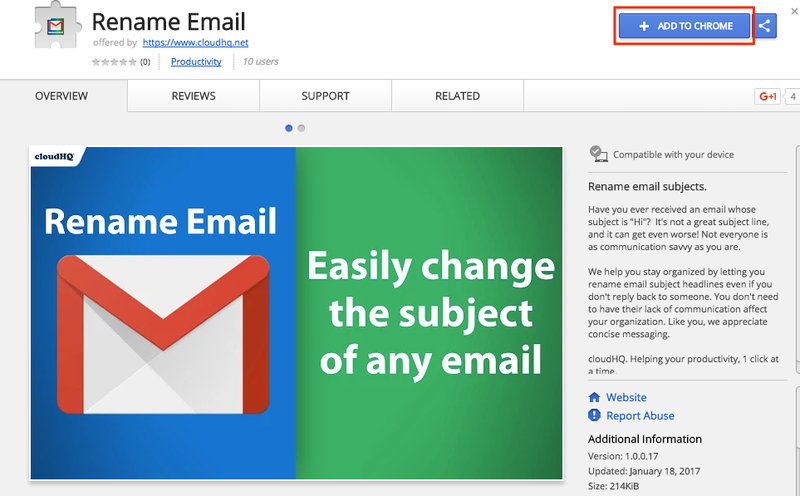 Looking for top Gmail extensions? Checker Plus is here for you. It lets you work at different accounts without switching from one to another. With an aesthetic design, it supports Inbox by Gmail and push notifications. If anything distracts you, it even reads out your email to you aloud. As the name indicates, it actively manages your inbox and creates tasks for you out of your emails. It helps you organize your emails to be sent later, add due dates for tasks and emails, add reminders to follow up a certain task and attach notes to emails only visible to you. Capable of functioning both online and offline, CloudMagic helps you find data among infinite emails. You can search for emails, collect follow-up reminders along with other related data. Acting as a stamp representing you, WiseStamp is a sort of a signature on your part. It allows for a better sharing of your personal data, blog content, pictures from your Instagram, tweets from Twitter, or any other preferred content along with your email. The receiving party gets to know you or your product from your point of view. With Boomerang, you can write emails and schedule them for sending later according to the date and time specified by you on the calendar. It also declutters your inbox by taking out less important emails and placing them again when you are ready to read them. It is free for limited messages. With pro and premium versions, which come at a cost, you can avail added benefits. Works great for a team, this Gmail extension allows for a reply with different subjects to various members of the group. This Gmail Extension caters to multiple account holders. It makes it easier for the user to access the different accounts in one go. Actions for Gmail places the options like flag a message, read/not read, delete, spam and archive a message without clicking on the taskbar. With this Gmail Extension, a small box contains all the options right next to the message for convenient action. Digify makes sure you are in complete control of all the attachments you send. With this extension, you can track your attachments landing, un-send, reclaim them, or utilize the option of ‘self-destruct’ so that the attachments remain available for a limited time to the receiving party. Find your account loaded with attachments, clear them with this extension. It makes a feedback report on all the attachments sent and received for an appropriate action. FlowCrypt helps you encrypt a message speedily. It also enables you to encrypt attachments and send it via PGP. It becomes easier for the recipient, holding any other account than Gmail, to go through the data if the PGP key is available to him. Key Rocket guides one to use the shortcuts on the keyboard when required. It makes suggestions whenever needed so that you get a better hang of the shortcuts for future use. This is one of the hot Gmail extensions these days. It allows recording of a video message and sent via Gmail. It can save the video for you for tracking purposes too. Blade Signature allows you to create signatures according to your liking instead of a customary Gmail one. The extension uses the info provided, photograph, personal info or profile data, to design a signature. You can make two signatures at a time with this free extension. Weak on the language and grammar side; let DraftMap map the email for you. If emails were a serious enough business for you, adding the DraftMap would guide you to grammatical mistakes, suggest where required and provide the scoring on style and readability. One of the most irritating features of copy-pasting is the retentivity of the formatting style of any website. Email Text Formatter transfers the data same as the default Gmail format. It will save the links as they are at the same time. It is an indispensable extension for better emails. You cannot attach sticky notes everywhere; with Gmail Notes, however, you can add your notes to an email. As they are saved in the Google drive, others cannot have an access to them. So, these were some of the top Gmail extensions that might make the Gmail experience more useful and easy for you. Along with these, there are tons of other extensions as well that might fit your specific requirements. Just visit the Chrome web store and find the extension of your choice. It’s as easy as that!